Don't repeat the past! 3 mistakes your restaurant should leave behind in 2015. The new year is now in full swing - and with it, comes new ideas and an increased level of motivation. After one year ends and a new begins, goals tend to be created or adjusted. We often view an upcoming year as a new opportunity – switching our focus in order to make positive changes. 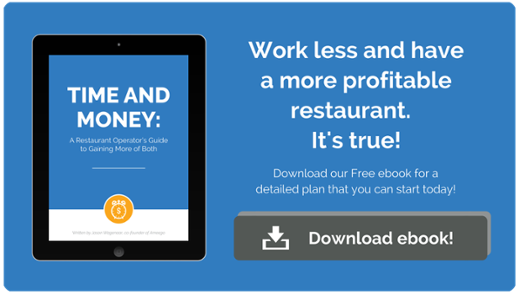 Within the restaurant and hospitality industry, you constantly need to be making changes in order to meet both the needs of your customers, as well as your business. Whether you're a restaurant owner or a manager, there will be clear areas which require your attention. Although it would be nice if the saying were true – 'build it and they will come.' This is simply not the case and in reality, a significant number of restaurants fail within the first three years. Why is that? Where are they going wrong? You must perform due diligence on a daily basis in order to both reach and maintain success. Increase awareness, build knowledge, and take action. If you are aiming to increase business and profitability in the upcoming year, focus on these three simple changes. You may offer incredible food and service, but if you neglect marketing and social media outlets, you could miss out on a significant amount of business. Social media in particular, has made it much easier for consumers to check out new businesses – especially restaurants. In fact, approximately 52 percent of Twitter users find restaurant information on the social platform. 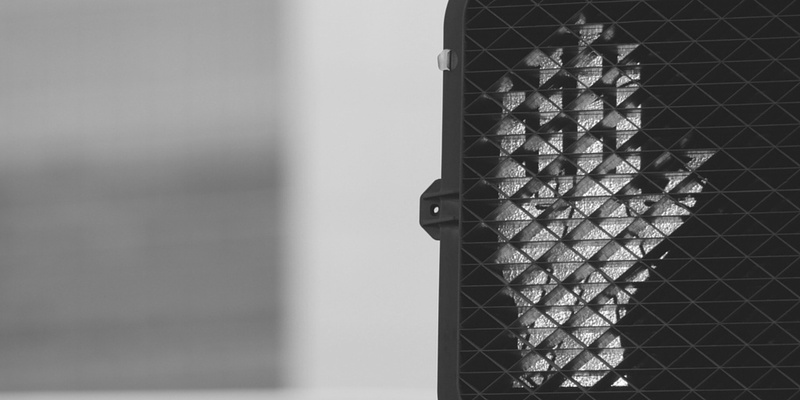 Can outside opinions really influence your business that much? In a 2013 survey, 3,600 American and Canadian consumer were examined. Of this sample, 85 percent said that they read online reviews when researching a local business. Also, 73 percent said that positive customer reviews made them trust the business more. Social media is rapidly growing and influencing your customers’ decisions. Both Facebook and Twitter are great ways to touch base with your customers, sharing featured dishes, specials, upcoming events, or anything else related to positive awareness. The Internet and social media are perfect opportunities to highlight who you are and what you offer. 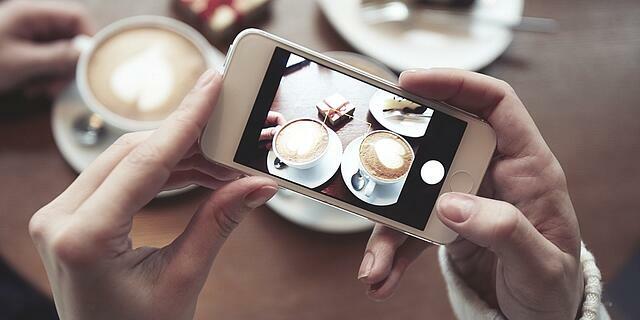 Recommendation - Start an Instagram account and take photographs of your most stunning dishes. A professional photographer can be a great investment for showcasing and enticing guest traffic! If you provide excellent service, food, and ambiance, the positivity will spread across various social media outlets. If you're active on these platforms, you can interact with your customers and freely market your establishment. You can also build a subscription list in order to send informative and exciting newsletters to stay in touch with your following. Old habits die hard and if you continue to make the same mistakes, you're going to get the same undesirable results. Scheduling is an area in which you should focus on, especially if you're not currently making many changes week-to-week. If you can relate to this habit (copying and pasting on a weekly basis), it's critical that you're more aware when scheduling. No one can predict exactly what their staffing needs will be, but based on a bit of research and analysis, you will have a pretty good idea. Focus on trends in terms of your past sales. Look back, what were your sales this week last year? Was anything specific going on? Did you make note of it? If not, get into the routine of filling out a brief daily report to better track trends. What was the weather like? Were there any special events that day? What I’m trying to say is, know your numbers and what influences them. If you're looking for a more automated approach, some systems such as Ameego can integrate with your Point-Of-Sale solution to collect and crunch minute-by-minute sales and labor data. The POS integration helps reduces management time spent on the process while at the same time eliminating data entry errors that can occur. 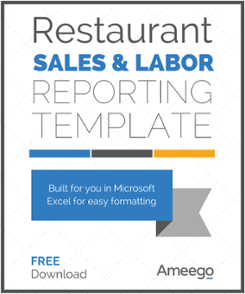 Related: Excel, POS or Online: Which scheduling solution is the best for your restaurant? Poor hiring habits will cost you - and in more ways than one. The restaurant industry has a high turnover rate and when a position opens, resist the urge to automatically fill it. Yes, there may be a bit of panic, but hiring the first applicant could significantly hurt your bottom line in a number of ways. If you do not select the best candidate and hire too rapidly, you may train them, only to discover that it's not working out. You want to train someone who you believe will stay and contribute to your team – it's an investment. If you hire the first person that walks through the door, you may experience issues that would otherwise be avoidable. As stated in the Harvard Business Review, 80 percent of employee turnover is due to poor hiring decisions. Whether you're experiencing issues with customer service or a lack of dedication, this will quickly cut into your costs and in turn, profitability. Since there are so many factors, estimates vary in terms of the actual costs associated with a poor hiring decision. With that being said, a study conducted by the Society for Human Resources Management, stated that it can cost up to five times a bad hire’s salary to replace them. The higher this individual’s position is and the longer they remain in that position, also has a significant effect on cost. These expenses come directly off of your bottom line. Culture first, skills second - Eventhough someone may come to you with a great resume and have a ton of experience, if they are not a culture fit, your entire business will suffer. Start digging - The reality is, the Internet holds many clues regarding a candidate's reputation. Do they have a LinkedIn account? Social media and online research can be extremely helpful when discovering whether the individual will be the right fit. During the year ahead, change what you can and manage what you can't. There are plenty of services and resources available in order to help you reach your goals. Take action today in order to benefit from positive and profitable changes.